If you have ever shot a video on your mobile phone, you might be dismayed later to discover that it is sideways, or even upside down. Don’t worry however, you can easily rotate it using no additional software. Sad as it is to say, the prevalence of video capabilities on our mobile devices has not turned us into the next Scorsese or Kubrick. No one wants to have to turn their head to watch their kid blow out the candles on their birthday cake or view their dogs romping through the park. That’s okay, however, because while there’s little we can do to take the shake out of our videos, a simple trick on any Mac will quickly rotate them to their proper orientation. 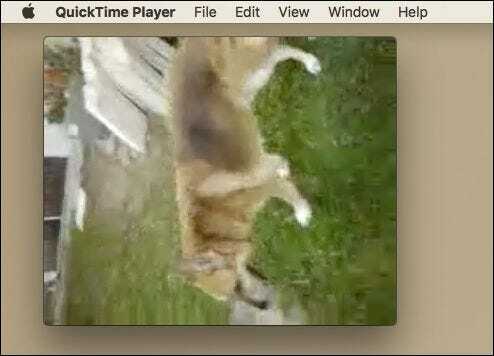 If you own a Mac, you need not look any further than the old reliable QuickTime app to save the day. 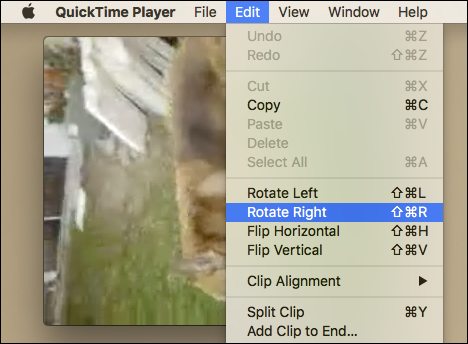 With QuickTime, you can rotate the video until it is the orientation you desire and then save it so it always plays correctly. (We mentioned this briefly in our 8 things you can do with QuickTime article, too). To begin, open the video you want to fix. As you can see, we need to rotate this particular one 90 degrees to the right. Click on the “Edit” menu, and you will see four options to rotate (left or right) or flip (horizontally or vertically) your video. We choose “Rotate Right” (“Shift + Command + R”). That’s it, this video will now play with the correct orientation. Now, when we try to close it, we’ll be given an option to save it. We simply decide where we want it to go and give it an appropriate name. If want to, we can even add tags to make it easier to find later on. 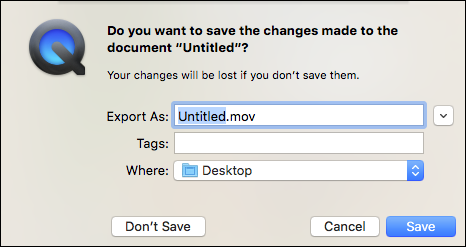 If your video starts out in another format, it will be converted to .mov when you save it. Now you know, if you own a Mac and have videos that are head-turning for all the wrong reasons, there is an easy and free way to fix them.